April 5, 2017—This alert contains critical information regarding new and revised Visa card acceptance rules effective now and coming in the future for merchants. Business to business companies may be at higher risk of associated chargeback losses or declines due to the average size of order. Effective April 22, 2017, Revisions have been made to split the “Other Fraud” Dispute condition under Enhanced Dispute Resolution into separate conditions for Card-Present and Card-Absent Transactions, and to incorporate changes to the payment flow related to Disputes. Christine’s Analysis: Merchants need to support both EMV chip for Card-Present and Verified by Visa for card not present. Verified by Visa is their brand for 3-D Secure, a global security protocol for cardholder authentication across all card brands. 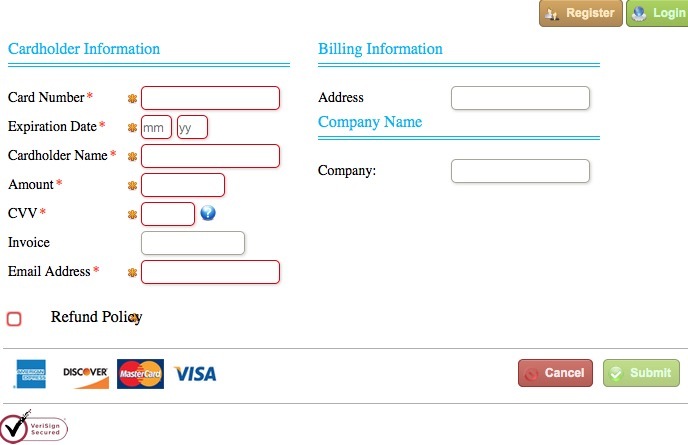 For example, a cardholder might be asked to enter a PIN number or answer some other type of authentication question. Cardholder authentication for Card-Absent Transactions shifts liability for “it wasn’t me” disputes to the issuer. This card-absent cardholder authentication process requires cardholders self-initiate payments, eliminating collecting card numbers via phone or paper credit card authorization forms. Merchants are rewarded for using cardholder authentication with reduced interchange rates and increased approvals. Christine’s TIP: Per Visa rule 5.4.2.5, a US merchant or its agent must not Request the Card Verification Value 2 data on any paper Order Form. Replace paper forms with digital, PCI Compliant forms and online payment solutions with cardholder authentication ASAP. 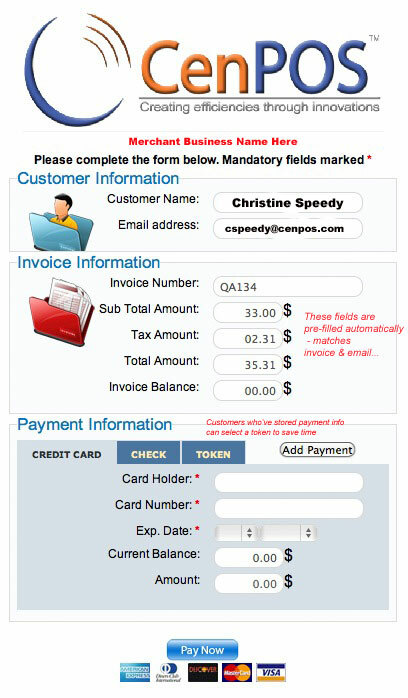 Online payment solutions include a hosted pay page like the one shown below. Other solutions include pushing out payment requests, such as via a text or email. With new and revised rules impacting the entire payment ecosystem including issuer, acquirer, gateway, merchant, and potentially other software like ERP’s and ecommerce shopping carts, merchants should verify all parts their payment ecosystem supports them. Desktop terminals are not capable of supporting all the rules for card absent needs; a cloud-based payment gateway is required whether non-integrated, or integrated ecommerce shopping cart, ERP or other software. Does your online payment solution support Verified by Visa, or do you need a solution? Contact Christine Speedy at 954-942-0483 for a fast and easy solution, compatible with your existing credit card processor. This entry was posted in Credit Card Authorization Form, fraud protection, industry news, online payments, Payment Gateway, security and tagged card not present, cardholder authentication, CVV, visa by Christine Speedy. Bookmark the permalink.